The one thing that British popband Hurts have in common with the rest of the artists is their affinity for the unconventional, depending on how you would look at it, that is. In a time where commercial music has been reduced to the same beats repeating over and over again, lyrics are thrown together haphazardly, and crazy outfits are as much as part of the whole look, this band comes along like a breath of fresh air. 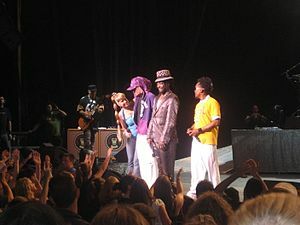 They use technology to their advantage, write lyrics that resonate with the emotions, and are never caught performing without suits. Theo Hutchcraft (L) and Adam Anderson (R) on album cover for "Happiness"
A first listen to their debut album comes off across as a product of the 80s, not present day, something that works much to their favor. It is interesting to note that both members are in their early to mid-twenties. These unique sounds are due to the masterful arrangements of multi-instrumentalist Adam Anderson. His compositions are complemented by the voice of Theo Hutchcraft, who comes across as charismatic even if you have not seen one of Hurts’ video clips. The album’s name and main message contrast with the band’s name, but this too is yet another forte for the duo. They are able to cover a wide scope of emotions without coming off as pretentious or as trying too hard to prove themselves from their first foray into the industry. For the past 6 years, Lebanese have been known to be divisive because of politics. Many villages have constant feuds over a bunch of supposed politicians and you got brothers not talking to each other because two politicians can only get along under the table but not show it publicly, keeping the country in unrest. But let’s put politics aside for once. This country unites under sports, and when our national team is playing basketball. all our differences are put aside and we root for one name: LEBANON. As you all know, the FIBA World Cup is about to start in about 6 weeks, and yes, Lebanon is making its third straight appearance. It all started last year after our national team played in the Asia Championship and made it to the semis to face the Chinese national team. Our team always had this jinx against the Chinese, where due to major height differences and players that play in the NBA (Yao Ming, Wang Zhizhi, etc…), the Cedars could never beat the Chinese in the past. So came the semis, and Lebanon was hanging in close against a Yao-less Chinese team and managed to get a lead in the last two minutes. Coming down to the last seconds, the game was tied and mysteriously, one of the Chinese players fakes getting fouled by our Roni Fahed and gets three undeserved free throws, leaving China to beat our national team by 3 points, making Lebanon’s chances for qualifying to the World Cup harder than ever since both teams that play the final automatically qualify. Yet they still had a chance if they beat Jordan in the bronze medal game, which they failed to do, as they lost an 80-66 to the Jordanians. Despite all that, it still had a slight chance to qualify, by being awarded one of the 4 wild cards. FIBA awards a wild card to a country based on different criteria, such as playing in its Zone’s qualification tournament, popularity of basketball in country, success of country, and government support. (yes, you guessed it right) Lebanon was awarded a wild card spot and earned its third consecutive berth in the FIBA world championship. I know, many Lebanese say it isn’t as big as football, but believe me, going to Turkey to watch your national team play in a world cup of a popular sport is HUGE. Last month, however, conflicts emerged in the Lebanese Basketball Federation that led to the resignation of nine of the the thirteen board committee members with the FBL chief and its members calling each other names, including “mosquitoes”, “lacking loyalty”, and “having other agendas”, which led to the idea that Lebanon might not participate. If the July War back in ’06 didn’t stop our national team from participating in a World Cup, conflicts among the federation members weren’t going to either. 21 players were invited to try-outs for the team, where 15 of them are playing in the 32nd edition of the Williams Jones Cup that is taking place in Taipei. So far, Lebanon is undefeated in its first two games, where it defeated Japan 87-82 in the first game on July 14th and Chinese Taipei 93-84 yesterday. After its participation ends in Taipei, our national team will be going to play the Japanese team in the Japan Invitational Games in three different cities. Then, Beirut will be hosting the 3rd Stankovic Cup, which also includes Japan and Chinese Taipei, and others such as the Phillipines, Kazakhstan, Qatar, Iran, Iraq and Syria. Its final stop before the World Cup will be one week before the main event, where the team will be going to Ankara to play in the 3rd Efes World Cup, and will play against the likes of Argentina, the host Turkey, and Canada before finally heading to Izmir for the World Championship. Being placed in Group D with defending champs Spain, Argentina, France, Lithuania and New Zealand, we have a very fragile chance of making the top 4 in order to qualify to the knock out stages. 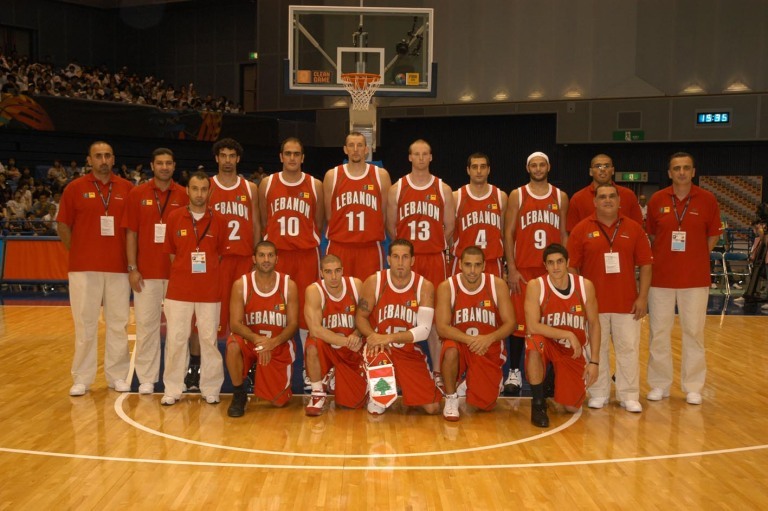 Yet no one expected Lebanon to win a game in the last World Cup, and despite that, we won the first game vs. Venezuela (ok, you might be saying “so what, it’s Venezuela) but then we beat FRANCE, which had at the time 5 NBA players, (what are you going to say now?) in one of this country’s most legendary wins in international play. Our National Team Will Make Us Proud No Matter What! The Lebanese team’s chances in this tournament are to go end somewhere in the middle between their first two participations, where they finished dead last in the first and were on the verge of making the 2nd round in the next. With our star Fadi El Khatub trying to get over nagging injury problems, our team will have to refer to the likes of star point guard Rony Fahed, Matt Freije and Jackson Vroman to take on this difficult challenge as the underdogs in this group and make some noise by surprising the world in making knock-out stages. All I know is, that come August 28th, every Lebanese person that is capable of traveling to Izmir, Turkey should do so to cheer their country playing vs. Canada and show national pride, and if not, to tune to their TVs to watch our players raise the Lebanese flag high. After all, our country doesn’t play in a World Cup everyday, and you never know when the next time might be.